Just lovin' up the summer days while we still have them. My lilies are all in bloom and they are all beautiful. I took the boys to the spray park this week, and as fun as it was, we got caught in an afternoon thunderstorm and we had to run home in the rain. For all you newcomers, if you've never heard of TanglePatterns.com, let me be the one to introduce you! 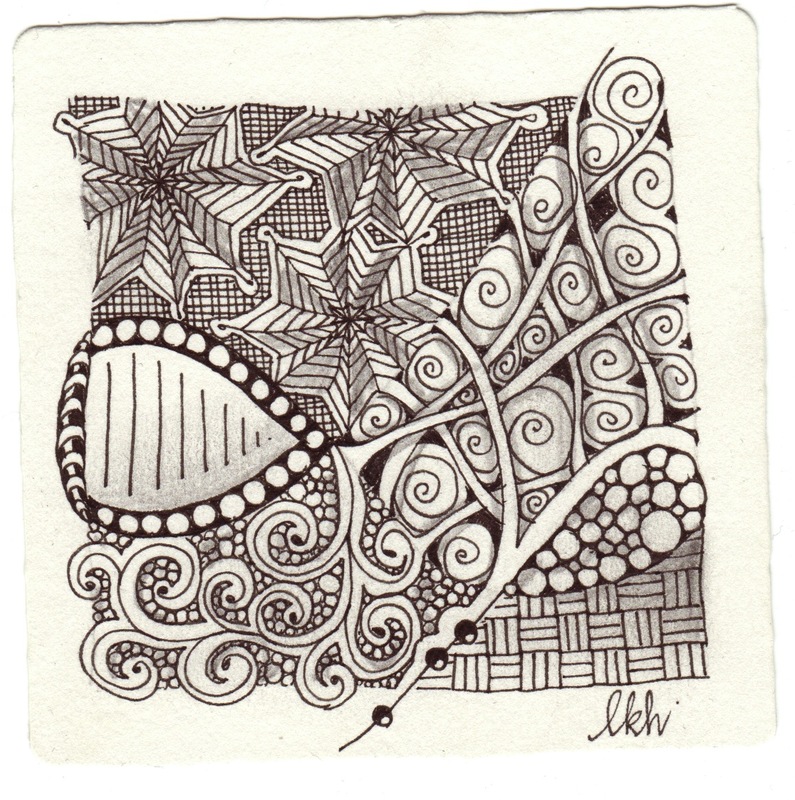 This is a FABULOUS website run by Linda Farmer, who is also a Certified Zentangle Teacher (or CZT) and this is one of (if not THE) most comprehensive Zentangle resource on the web. It's wonderful. In addition to posting directions and step outs to tangles, she has been amassing a wonderful collection of strings to draw inspiration from, which is what i'm doing today. 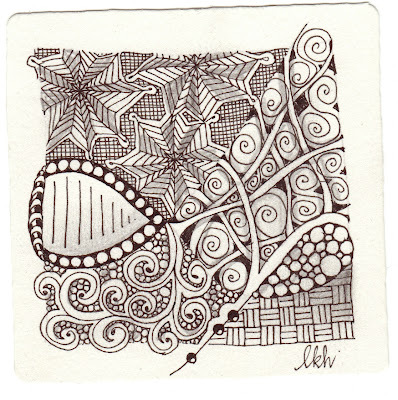 This week's challenge is to use String #004 on your tile or Zentangle Inspired Art. follow THIS LINK to see the string on her site. Thank you, Laura, for yet another interesting bit of homework. So how warm does it get up at your end in summer? I love seeing that you are enjoying summer! The tile you tangled with the string is really beautiful! Looks like some more summer fun! Beautiful lilies! I can't grow them anymore as the deer in the backyard love them! Your lilies are gorgeous! That's my favorite flower and I usually have them in pots on my patio. Beautiful! Thanx for sharing. I love a thunderstorm after a hot day! Happy summer days & beautiful flowers! Enjoy! Laura, you have a great way of providing unique and inspiration ideas new Zentangles. Way to go. Your lilies are amazing.I love the colors. And thanks again for a great challenge.